The problem of God & the existence of evil. Because is God is real, all good and all-powerful, then evil would not exist. Or God is real, all good, but not all-powerful and this is why evil exist. Or God is real but not all good, so in power he created evil. Or lastly God is not real and evil therefore exists. Or are they all right!? The problem with this argument has to do with the arrangement of this argument. “Evil” is spoken of as a being, as a thing. But evil is not a thing or a being. God cannot create evil, because in him there is not evil, there is no disunity in his persons. God is holy, united, perfect love. However, as created beings we are not perfectly united with our creator, we live in relationship with Him. In that relationship there is an ebb and flow. The further our relationship grows apart from God the more “evil” we become in our heart, minds, and actions. Likewise, the closer we draw to God, and unify ourselves with him, the less evil we become in our heart, mind, and actions, or the more holy our heart, mind, and actions become. Evil will always exists until man becomes perfectly united with God. *So in one sense God did create evil, because he did create something different than himself, which opened Pandoras box for evil. However, looking at it from another direction God did not create evil. 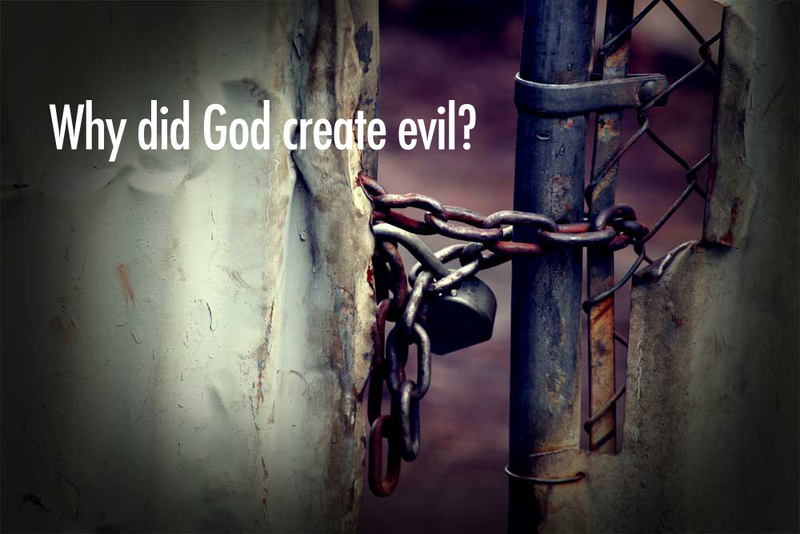 He created us and we created evil… So can we really blame God?